I’ve become somewhat of an expert in recent years in helping homeowners recover from natural disasters. Following destructive hail storms in early 2009 and damaging floods later that same year, Highlight Homes’ helped Atlanta families recover from damage to their homes and prompted the establishment of Help Atlanta – a charitable affiliate of our residential construction company. Feeling the need to extend the size and scope of that charity beyond Atlanta city limits, we recently changed Help Atlanta’s name to The Georgia Redevelopment Foundation and its designation as a 501(c)3 non-profit tax-exempt corporation is currently in the pipeline. We answered the plea to help once again following the devastating tornadoes in Georgia and Alabama earlier this year – spending many long weekends working in the hard-hit Lake Martin, AL area. 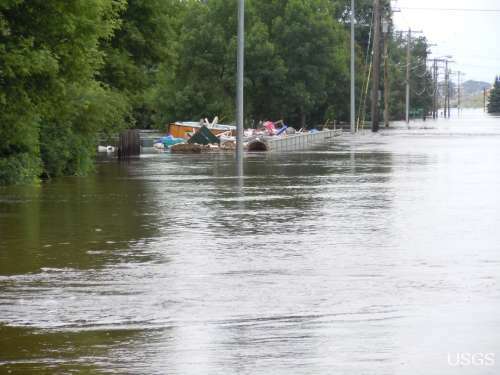 Most recently, the call came from further away when I received a request from my friend, Realtor® Staci Mordew to help in the recovery efforts following the historic floods in Minot, North Dakota. She contacted me after watching the flood waters destroy her hometown of Minot in June. She explained that Minot was already experiencing a housing shortage due to the influx of people working in the oil fields, and the flooding made a difficult situation worse by destroying and damaging over 4,000 homes. Staci, a Realtor® with Fickling & Company Real Estate Services in Warner Robins, Georgia feels that Minot needs contractors and builders who have experience in natural disaster clean up and rebuilding, and believes our involvement will be beneficial to Minot and the surrounding area. Once I saw footage of the swelling of the Souris River and learned that it had forced the evacuation of thousands of residents and the subsequent devastating destruction of homes and businesses – I felt a familiar overwhelming urge to bring my company’s skills to the aid of those in need. Since many of the homeowners in Minot have suffered complete losses, my talents as a community developer through Highlight Homes’ sister company, Vesmont LC will prove most helpful. I am currently in the process of putting together a crew of local trades in Minot and have been in touch with the Minot Association of Builders. It is our hope that we can partner with a number of investors and supply vendors both here in Atlanta and in North Dakota to help us return that community to its former glory through home restorations and new housing developments. Once there, we can team up with talented local contractors and builders to rebuild Minot as quickly as possible. It’s my understanding that because the last flood in that area was over 40 years ago – prompting the incorporation of a major dike and overflow channel system, most of these homeowners did not have flood insurance. The situation is simply heartbreaking. If we can raise the funds necessary, we hope to begin building there soon. When we arrive in Minot, as in times past Highlight Homes can also help homeowners assess structural damage and assist in general clean-up. Additionally, my team can offer valuable expertise regarding further repair and maintenance, as well as provide advice on how to steer clear of unlicensed and unqualified contractors. After all, these folks have been through enough. Anything we can do to lessen their stress, my team and I will happily do. If possible, their homes will either be lovingly and thoughtfully restored or rebuilt. While Minot is located more than 1,600 miles away from Atlanta, these are our neighbors and their need is so great. We have the skill and the tools to help them, but lack the necessary funding. That’s where you come in! We need your help to spread the word of this overwhelming need in Minot. Individual investors, construction vendors, and corporations who wish to partner with Highlight Homes to assist in restoring homes and developing new communities in Minot, North Dakota are invited to call 678.873.9234 or e-mail me at info@highlighthomesga.com. 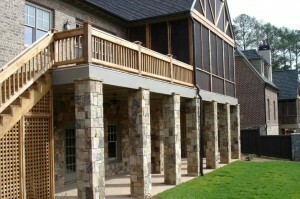 To learn more about Highlight Homes, please visit our website at www.highlighthomesga.com. On behalf of myself, my family, and the Highlight Homes’ Team, our thoughts, prayers and best hopes go out to the citizens of Minot. 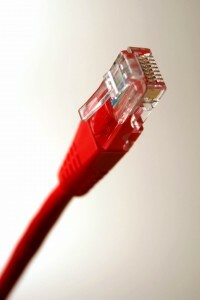 The housing industry – hard hit by the sluggish national economy – remains at a virtual standstill. While sales of existing homes and early signs of life in new construction show as a virtual blip on the screen from one news day to the next, a growing trend in home remodeling appears to be on the rise. According to the BuildFax Remodeling Index, recent studies show a 22% increase in remodeling projects year over year. 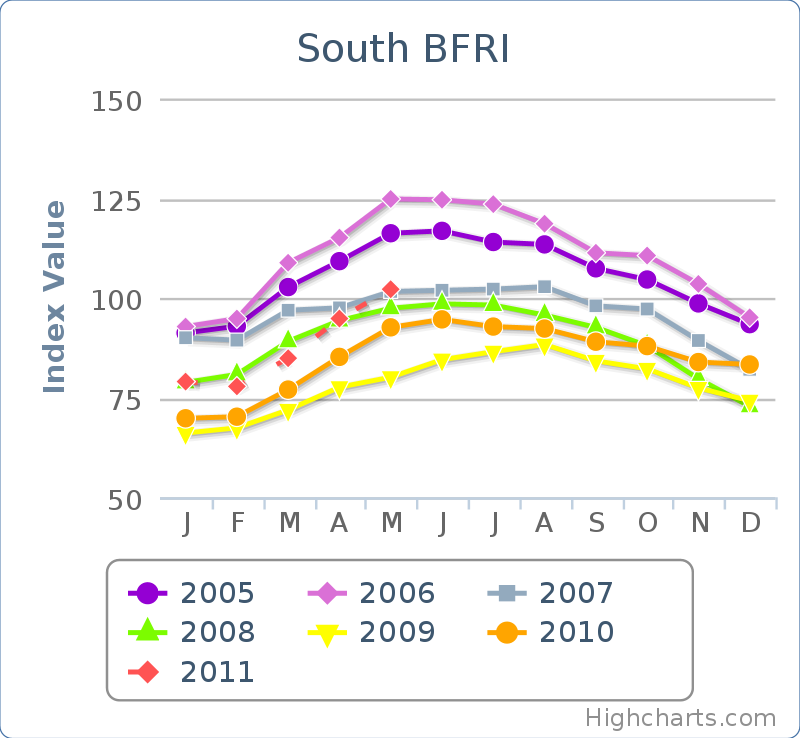 The most recent snapshot of the industry indicates that May 2011 represented the largest number in the index since 2004 from a national standpoint. At the regional level, numbers in the South show an increase in remodeling projects of 9.5% year-over-year. While the South has not yet caught up to the height of the remodeling figures of the construction heydays of 2005 and 2006, it does show a steady increase above all other years since – a very positive sign for a builder and remodeler like myself. BuildFax bases their study on data collected from construction permits filed with local building departments all across the United States. Whether forced to stay put because they are upside down on their loan, unwilling to take a loss on the sale of their home, or making the conscious decision to remain in their existing home due to proximity to good schools or work, homeowners need not feel “trapped”. An excellent design-build firm can transform just about any house into the home of one’s dreams (unless it just so happens that the home of your dreams exists on a sandy white beach or soaring mountaintop, and you currently reside in a suburb of Atlanta). From changing the front elevation of your home or adding a second level to the home to alter the appearance of the exterior, to revamping the look and layout of your kitchen or finishing a basement – a well-planned and well-executed remodeling project can increase the usefulness and enjoyment of individual rooms of your home. At Highlight Homes, my team and I offer strong backgrounds in not only design and construction of just about ANY home remodeling project, but also in the areas of structural engineering and environmentally-friendly building. Our specialties include decks and patios, kitchen and bath remodels, room additions, basement finishing, outdoor kitchens, ponds and pools, window and door replacement, and so much more. We can handle projects of many sizes and scopes – from installing built-in bookcases in your living room to “floor-to-ceiling” complete home restorations. Highlight Homes is proud to serve metro Atlanta and surrounding areas including Buckhead, Roswell, Alpharetta, Sandy Springs, Druid Hills, Vinings, Peachtree City, Newnan, and more. If you wish to hop on the latest trend by staying right where you are and remodeling, I invite you to contact me by phone at 678-873-9234 or via e-mail at info@highlighthomesga.com. I look forward to learning how Highlight Homes can help you. We can custom design a remodeling project to fit the unique needs and collective personality of your family. To learn more about me and my company, please visit us online at www.highlighthomesga.comand feel free to peruse our online portfolio for inspiration. A deck can be a wonderful addition to any home. They serve as a functional extension of your living spaces into the Great Outdoors. A deck can be an outdoor dining room under a sea of stars, a peaceful escape from the hustle-bustle of life beyond your backyard, or a gathering space for neighborhood parties and family celebrations. Unfortunately, if not constructed properly – a deck can become an accident waiting to happen. Last year, deck collapses in Roswell and Marietta sent a number of people to hospitals with injuries ranging from minor abrasions to broken bones. Just last month, two people were rushed to the hospital following a deck collapse in Powder Springs. As a matter of fact, according to the U.S. Consumer Product Safety Commission’s National Electronic Injury Surveillance System (NEISS) – in 2009 there were more than 16,000 injuries nationwide caused by outside attached structures, including decks. Nearly 2,000 of those injuries resulted in hospitalization or death. One of the most tragic deck collapses in recent history occurred in Chicago in June 2003. When a third story deck gave way, 12 people lost their lives and more than 34 others were rushed to the hospital with injuries. If you are considering adding a deck to your current home, it is of utmost importance that you work with a contractor who strictly adheres to code ordinances and has your family’s wellbeing in mind. Because safety is such a concern, a deck is no place to cut corners. Select someone who is able to provide references, is fully licensed and insured, and has no blotches on their record with watchdog organizations such as the Better Business Bureau. If you already have a deck, you should do a little investigating of your own before your next big al fresco get-together. Take a flashlight and look closely at every inch – do you witness any wood rot? Are there any nails sticking out? 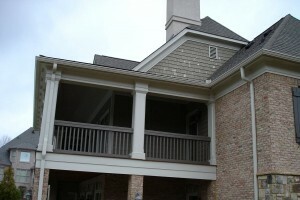 Pay particular attention to the integrity of the flooring, railing, and attachment to the house. If your home is an older home and the deck has been there some time – there’s a chance it was built before code ordinances when it was considered suitable to attach a deck to a house using only nails. If you have even the slightest inkling that your deck could be deemed unsafe, you should call in a professional home inspector or deck contractor to suggest if a deck repair or replacement is in order. The talented team of contractors at Highlight Homes has been designing and building decks for several decades. With my background in structural engineering, I can assist you with the inspection of a current deck or the creation of an entirely new one. Not only are our decks safe, they are custom-designed to fit your family’s needs and are nothing short of beautiful. To schedule an inspection of your deck or a consultation to discuss the addition of a deck to your home, call me TODAY at 678.873.9234. We can have a gorgeous deck in place for your Labor Day Weekend picnic and a slew of tailgate parties this Fall. I can also be reached via e-mail at info@highlighthomesga.com or through Highlight Homes’ convenient online contact form. To learn more about me and my team, and to take a peek at our portfolio online – please visit the Highlight Homes website. Source: NEISS Data Highlights 2009. http://www.cpsc.gov/neiss/2009highlights.pdf. July 14, 2011. In this brave new age of social media networking, online forums, and life in the “blogosphere” – our voices are louder than ever. Thanks to the internet, any thoughts and questions we care to share can reach from one hemisphere into the next. As a small businessman with big ideals, I’ve spent the past few years dipping my toes into the relatively unknown waters of “growing my online footprint” while completely submerging myself in the exciting realm of digital design with programs like 20/20 Kitchen Design Software for Kitchens & Baths and AutoCAD Architectural Desktop for house plans & 3D renderings. I’ve climbed onboard with social media outlets such as Facebook, Twitter, MerchantCircle, and LinkedIn, launched a redesigned website, debuted a monthly e-newsletter (click to sign up for your very own copy), introduced a mobile textsite, and premiered a blog relating to the latest trends, expert advice and up-to-the-minute news about my company, Highlight Homes. In step with a growing consciousness toward environmental stewardship, I have also leant my lifelong love of the Great Outdoors to the development of a wealth of eco-friendly initiatives within the company that keep us at the cutting edge. Yet throughout all of these exciting digital-age changes, Highlight Homes has remained wholly committed to providing a combination of good old fashioned customer service and unsurpassed quality craftsmanship to every project we take on. While we are excited to provide the latest “tweets” about Highlight Homes to our followers and take great pride in every issue of The Highlight Homes Herald that we send to inboxes throughout the Southeast, nothing excites us more than starting a project with a client and seeing the look of joy on their faces upon the project’s completion. The internet provides you with a treasure trove of ways to have your voice heard, as well and I want you to know that Highlight Homes is listening. I invite you to look to our blogs as an opportunity to express your own thoughts, questions, and concerns about the homebuilding industry and renovations by utilizing the comment section at the bottom of each blog. I also welcome the opportunity to respond to your messages on our wall at Facebook. If we’ve completed a project for you and you wish to sing our praises, please feel free to do so on any one of our social media outlets – as a matter of fact, we may just include your kind words on the testimonial page of our website. Word of mouth has always been a means of growth within my industry – and with so many new ways to spread the word, YOU could represent the next big boom to our company. Additionally, I am happy to hear your ideas regarding topics you’d be interested in reading about in one of our upcoming blogs and/or in a future issue of our e-newsletter. E-mail your ideas to us at info@highlighthomesga.com. If you are interested in witnessing our “old world craftsmanship” up-close-and-personal, call me –Tony Pourhassan, principal at Highlight Homes – to set up an appointment to discuss ways I can help you build that custom home of your dreams or transform the home you currently own INTO the home of your dreams. Call me today at 678.873.9234! Don’t forget to “like” us on Facebook and become a follower on Twitter! On the go? Text “Highlighthomes” to 99699!